Our Lead Developer Vladimir Lasky will be presenting a talk on how to reduce spam on your WordPress site, at WordCamp Melbourne 2013, to be held at the Royal Melbourne Institute of Technology on the weekend of Saturday 27th April and Sunday 28th April. Vladimir’s talk will cover various strategies for reducing each of these using off-the-shelf plugins and practical website design tips, without impeding the ability of clients, customers and website visitors to communicate, comment and contribute to your site. Aussie WP Expert’s lead developer Vladimir Lasky has joined the development team for the popular WordPress security plugin WordPress Firewall 2, continuing the work of past developers Matthew Pavkov and SEO Egghead. The last release was version 1.3, published on 29th October 2010. I share the view of other WordPress developers who believe that SEO functionality should not be incorporated into a WordPress theme – it should be in a plugin. This promotes modularity and maintainability and avoids vendor lock-in. If you ever want to change the visual appearance of your WordPress site, your site’s SEO will not suffer. One of the key selling points of the Thesis Theme – one of the best known premium themes for WordPress – was its inbuilt support for SEO. At the time that the Thesis Theme was first released, its inbuilt SEO features may have been equal to or superior to separate SEO plugins, but times have changed. I am not as critical of the Thesis theme’s native SEO capabilities as some other people, but one definitely can do a better job using some of the SEO plugins out there. One highly-rated SEO plugin is WordPress SEO by Yoast (Joost de Valk). Unfortunately, if you attempt to activate this plugin whilst using the Thesis Theme, you will have the problem of duplicate meta tags. You see, the Thesis Theme does not have a configuration option to disable its own HTML meta tag generation. As a result, when you access a page, it will contain both Thesis’s SEO meta tags those generated by the WordPress SEO plugin, which is likely to confuse search engines. Google Reader is an incredibly useful tool that lets you follow any number of blogs and websites using their RSS feed URL. I use it every day to keep up with all the blogs I like. I would never be able to read so many posts, so quickly, without a tool like this. 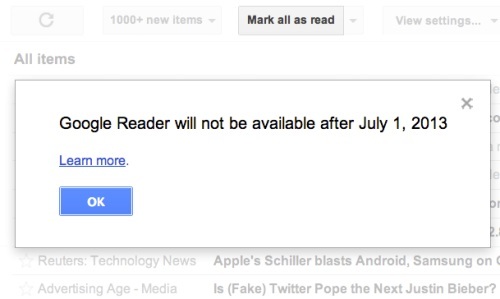 I have been a daily user of Google Reader for just over 5 years. In the past, the majority of WordPress themes would enclose the title of sidebar widgets within an HTML h3 heading tag. The Thesis Theme V1 is one such theme. WordPress theme designers have moved away from this practice because of an increased awareness of SEO. Nowadays, people who write search engine optimised content generally use HTML heading tags exclusively for hierarchical text elements with relevant contextual keywords designed to appeal to search engines, e.g. a post title with the main target keyword would be enclosed within h1, then the subheadings with additional keywords would be enclosed within h2, and so on. In contrast, WordPress widgets often have generic titles like ‘categories’, ‘tags’, ‘meta’ and ‘links’ which have offer no usefulness as search keywords. Having h3 on these is wasteful as it has the potential to take value away other relevant keywords on the page. The Thesis theme does not have a hook to change the styling of widget/sidebar titles. The solution is to unregister the two default sidebars, then re-register them with a different html markup for the title. In this example, h3 has been replaced by a div with the class “widgettitle”. Furthermore, we have to ensure that this only happens AFTER the Thesis Theme has finished its default sidebar registration. This is achieved by hooking the action ‘widgets_init’ with a priority of 11 – lower than the WordPress default priority of 10. This article describes how to get the Thesis Theme Version 1 to display a 404 error image as a substitute for any missing images on your site. 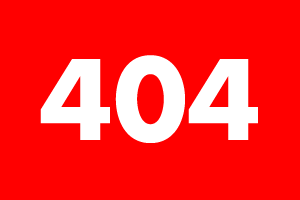 If you attempt to access the URL of a non-existent image file on a website – say a jpg, png or gif file – you will usually be redirected to the 404 error page. If the image is embedded via an HTML img tag, this will normally result in your browser displaying a missing image icon. Instead, we can handle this in a more elegant way by creating a special 404 Error image which will be returned when someone attempts to request a non-existent image file on your website.